The heel pain characteristic of plantar fasciitis is usually felt on the bottom of the heel and is most intense with the first steps of the day. Individuals with plantar fasciitis often have difficulty with dorsiflexion of the foot, an action in which the foot is brought toward the shin. This difficulty is usually due to tightness of the calf muscle or Achilles tendon, the latter of which is connected to the back of the plantar fascia. Most cases of plantar fasciitis resolve on their own with time and respond well to conservative methods of treatment. This entry was posted on January 19, 2015, in Plantar Fasciitis and tagged Heel Pain, Plantar Fascia, Plantar Fasciitis. Currently no single factor has been reliably identified as contributing to the development of plantar fasciitis. The two risk factors with the most support from current research. Decreased ankle dorsiflexion. Increased Body Mass Index (BMI) in non-athletic populations. 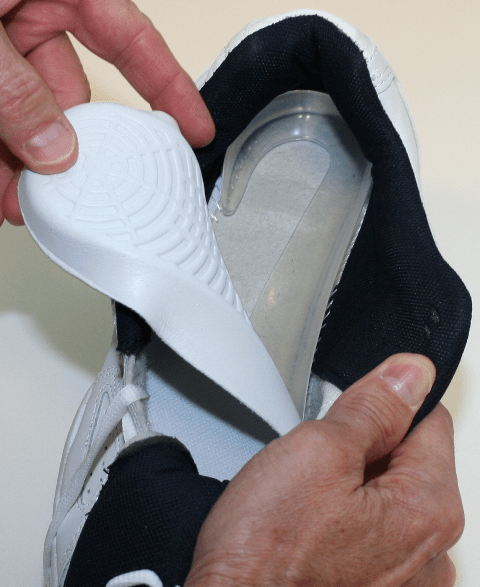 These factors are related in that both lead to increased strain on the arch, both lead to increased compression on the heel. When dorsiflexion range of motion (ankle flexibility) is lacking, the body compensates by increasing movement of the arch. In this way, decreased ankle dorsiflexion influences pronation and places strain on the underside of the foot. Similarly, having a high BMI causes strain because it places a load on the foot that may be in excess of what the foot can support. As mentioned earlier, overpronation is thought to be a contributing factor, but studies on this have so far produced mixed results. The second way these factors relate to each other is in the way people stand. A lack of ankle flexibility and a high BMI can both cause increased pressure on the heel in standing. Keeping weight on the heels causes compression under the heel. But it also means the muscles and ligaments in the arch are not being used to balance your body weight. Lack of use, I suspect, is a greater danger than overuse. Looking beyond these potential contributors to heel pain though, there is one major factor that overshadows them all-the way footwear alters the normal function of the foot. This entry was posted on January 16, 2015, in Plantar Fasciitis and tagged Heel Pain, Plantar Fascia, Plantar Fasciitis. If you are concerned that you may have developed this syndrome, review this list of symptoms to see if they match with your experience. 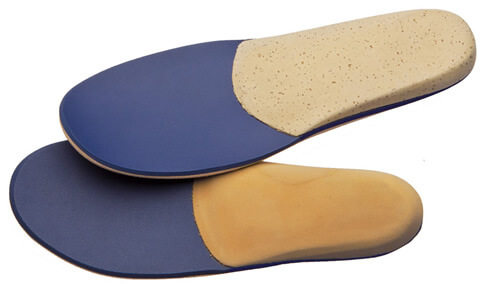 Aching, sharp or burning pain in the sole of your foot, often centering in the heel area. Foot pain that occurs as soon as you step out of bed or get to your feet after prolonged periods of sitting. Pain that may decrease eventually after you’ve been on your feet for awhile, only to return later in the day. Sudden heel pain or pain that builds gradually. Foot pain that has lasted for more than a few days, or which you experience periodically over the course of months or years. Pain in just one foot, though it is possible to have Plantar Fasciitis affect both feet. Swelling, redness, or feelings of heat in the heel area. Limping. Diagnosis of plantar fasciitis is based on a medical history, the nature of symptoms, and the presence of localised tenderness in the heel. X-rays may be recommended to rule out other causes for the symptoms, such as bone fracture and to check for evidence of heel spurs. Blood tests may also be recommended. Make sure you wear appropriate supportive shoes. Don’t over-train in sports. Make sure you warm up, cool down and undertake an exercise regime that helps maintain flexibility. Manage your weight, obesity is a factor in causing plantar fasciitis. Avoid walking and running on hard surfaces if you are prone to pain. You should follow the recognized management protocol – RICED-rest, ice, compression, elevation and diagnosis. Rest, keep off the injured ankle as much as possible. Ice, applied for 20 minutes at a time every hour as long as swelling persists. Compression, support the ankle and foot with a firmly (not tightly) wrapped elastic bandage. Elevation, keep foot above heart level to minimize bruising and swelling. Diagnosis, Consult a medical professional (such as a Podiatrist or doctor) especially if you are worried about the injury, or if the pain or swelling gets worse. If the pain or swelling has not gone down significantly within 48 hours, also seek treatment. An accurate diagnosis is essential for proper rehabilitation of moderate to severe injuries. This entry was posted on January 12, 2015, in Plantar Fasciitis and tagged Heel Pain, Plantar Fascia, Plantar Fasciitis. In general, plantar fasciitis is a self-limiting condition. Unfortunately, the time until resolution is often six to 18 months, which can lead to frustration for patients and physicians. Rest was cited by 25 percent of patients with plantar fasciitis in one study as the treatment that worked best. Athletes, active adults and persons whose occupations require lots of walking may not be compliant if instructed to stop all activity. Many sports medicine physicians have found that outlining a plan of “relative rest” that substitutes alternative forms of activity for activities that aggravate the symptoms will increase the chance of compliance with the treatment plan. It is equally important to correct the problems that place individuals at risk for plantar fasciitis, such as increased amount of weight-bearing activity, increased intensity of activity, hard walking/running surfaces and worn shoes. Early recognition and treatment usually lead to a shorter course of treatment as well as increased probability of success with conservative treatment measures. This entry was posted on January 9, 2015, in Plantar Fasciitis and tagged Heel Pain, Plantar Fascia, Plantar Fasciitis. This entry was posted on January 6, 2015, in Uncategorized.